Competition Time! 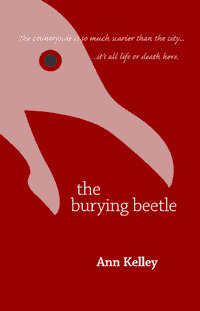 To go with our interviews with Ann Kelley and Luath Press this month we have a signed copy of The Burying Beetle by Ann Kelley plus a stack of books from Luath Press. Plus a $30 Amazon Voucher! A bumper package to win! Next year is the 150th anniversary of the birth of Arthur Conan Doyle, and the bicentenary of the birth of Charles Darwin, both with strong Edinburgh connections. 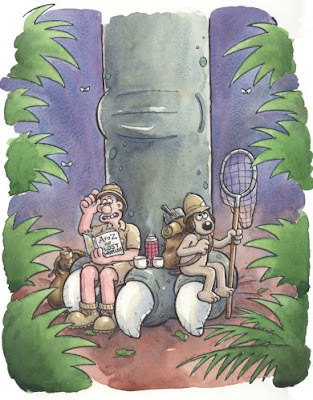 In celebration, Conan Doyle's story The Lost World will be distributed as part of the 2009 reading campaign, with an exclusive cover designed for the free edition of the book by Bristol's Aardman Animations, featuring their most famous creations, Wallace & Gromit. - So which book would you like to see which two writers collaborate to produce? And who should design / feature on the cover and why? Answers in the comments - make sure we can trace back to you to inform you if you win. Closing date: St Andrew's day on November 30th. Inchworm, Cowboys for Christ, Bad Catholics, My Epileptic Lurcher and Right to Die. Heh heh I see a chance here to make away with the goodies. I would like to see Terry Pratchett and Sebastian Faulks work together on a reworking of Lord of the Rings to replace Frodo with James Bond and Nanny Ogg playing Gandolf - picture on the cover of Daniel Craig beating up Gollum. A willnae meet that hairy coo! An will ye meet him in a brae? A willnae meet him in a brae! An will ye meet him when ye gae? A willnae meet him when A gae! Will ye meet him by the cairn? Will ye meet him wi a bairn? A willnae, willnae by the cairn! A willnae, willnae wi a bairn! No in a brae, no when A gae! No by the cairn! No wi a bairn! A willnae meet him ne'er again! I would love to see JK Rowling and Bret Easton Ellis work together on a series about the spoiled, jaded kids at the Beverly Hills Wizarding Academy. A combined book by Terry Pratchet and Pierce Anthony would be an interesting and fun read. Disc World meets Xanth throw into the mix the Good Omen and we might a real thriller.. lol..